Dr. Kissinger has six books to his credit; this is the only book of his I’ve read. I’m not receiving any compensation for reviewing this book. I did receive the book for free, but only because I entered a Penguin book contest near Christmas of 2014 and this was the book I selected as a winner. I was not particularly impressed with this book, though perhaps through no fault of Dr. Kissinger or his prose. Perhaps my expectations were misplaced, too. Knowing Dr. Kissinger wrote this book, and the book dealt primarily with how countries and regions sought to achieve some sort of equilibrium, I expected more personal anecdotes, more personal observations, more particular details regarding geopolitics contemporaneous with his career. If you are reading this review in anticipation of purchasing this book, do not buy the book with those hopes in mind. For the first three chapters, World Order reads like a textbook for an upper-level history or political science course. A history or political science course with a distinct Western bias, for sure. The entire book is couched in the Westphalian System of State Development, in and of itself a development of regional politics and conflict of 17th century Europe. As is often the case with books I read on geopolitics written by those educated in Western society, authors seem to consider nothing outside Europe ever existed, that Europe brought the only models of civilization to the planet. Chapter Two details the repercussions of the Congress of Vienna, the implementation of the Westphalian system, and establishing a geopolitical order throughout most of western Europe. Essentially, people were not used to identifying with a state (a country), or having to recognize new political boundaries, or aligning themselves with an entity of significantly larger size than a fiefdom. The benefit of recognizing borders and defining areas of control was conflict was minimized. War was not eliminated, but for years after the Congress of Vienna, Europe had witnessed less conflict than in the previous generations. Less war meant being able to redirect resources to other economic pursuits, especially exploration, colonization, and conquest of other world regions. Reaching beyond Europe brings these nascent world powers into contact with Southwest Asia, a region most media refers to as the Middle East. Kissinger argues, in my opinion, the Westphalian system simply doesn’t work for the Middle East, with a few possible exceptions. The exceptions include Turkey, Iran, perhaps Saudi Arabia, and Israel. Israel I include only because the state of Israel was brought about through force of will by the United Nations and did not (and probably would never have) evolve and rise of its own accord within the Levant region. The remaining portion of the Middle East realm, which also include portions of North Africa comprise a human mosaic of different cultures, different languages, and different religions. Many of these components tend to have sub-parts which are mutually incompatible. The political structures and climate which arose in Europe were never present in the Middle East, for a variety of reasons, thus the Westphalian system lacks any substantive cornerstone on which to build any lasting states. Turkey exists as the last bastion of the Ottoman Empire. Iran exists as the homeland modern Persian state. Saudi Arabia exists through the will of a complicated familial network supporting a monarchy. Don’t look for any powerful insights into Middle East geopolitics, however. Dr. Kissinger doesn’t include any particular person episode or any chronicle of his experience of working on any major geopolitical issue concerning the Middle East. I found the lack of any experience disappointing. His views of Asia are also somewhat disappointing, as well. The growth of the Chinese state is passed of as “the single pinnacle of human hierarchy.” To translate, the Chinese emperor was seen as a god, and thus everything existed under him, regardless of where on the global. So, in spite of never having visited Europe, and not even knowing about Europe, Europe is still a subject to the Chinese emperor. While true, the development of the Chinese state was a little more complicated and nuanced than one might understand from reading World Order. Furthermore, Dr. Kissinger frequently cites from the Arthashastra. The Arthashastra is a journal composed by a 4th century BCE Hindu minister, Kautilya. The particular philosophy set forth by Kautilya in the Arthashastra can be summed up in this quote: “The conqueror shall always endeavor to add to his own power and increase this own happiness.” (pg. 196) This seems to suggest constant conflict as the leader would continue to strive to minimize both internal and external opposition. Ruthlessness was an asset to be used to “build a harmonious universal empire and uphold the dharma – the timeless moral order whose principles were handed down by the gods.” In other words, the Arthashastra promotes war and conflict, with the result being everyone is brought under one dominion led by a benevolent ruler…hopefully. Admittedly, I did enjoy this particular section as I am not well-versed on Hindu or South Indian culture. I bookmarked the Arthashastra for future research, as I had not run across this reference before. Yes; I know, what cave do I live in. 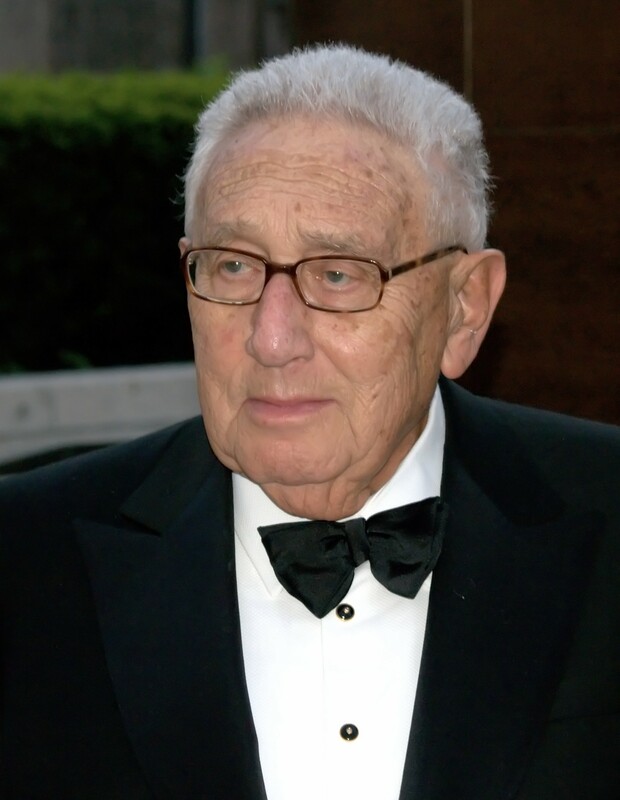 Dr. Kissinger while being a remarkable personality in U.S. politics, especially the portion of his career overlapping with Richard Nixon, is fairly much loathed throughout in the world. Not included anywhere in this book are the attempts by various U.S. administrations to undermine governments around the world. Nothing notable about Vietnam, though Dr. Kissinger does discuss some of the issues pertaining to Korea, control of the Korean peninsula, and the interests of various nearby global actors, the U.S.S.R., China, and Japan. Not surprisingly, though, there is no mention of any particular activities, such as the carpet-bombing of Cambodia. The meddling in politics in Chile is not to be found, nor any sort of intervention in Central America. I find it very challenging to read a book purporting to be about World Order when the author has first-hand experience sowing the seeds of disorder. Some of his history seems to be off, too. “Begun in 1904 with American funds and engineering expertise on territory seized from Colombia by means of a local rebellion supported by the United States, he is referencing the Panama Canal. (pg. 251) This account does not jibe with any other historical evidence I’ve encountered. The Panama Canal was initiated years earlier by the French, by two separate companies, both of which ended up going bankrupt. The U.S. entry into the canal zone was the last and most fruitful, but we certainly did not begin the canal. PBS’s “The American Experience” provides a nice timeline of the Panama Canal effort. The later chapters of the book seem to gloss over all sorts of contemporary events. Dr. Kissinger spends a good portion of a chapter exonerating President Nixon from a very controversial presidency. President Ford is barely mentioned; President Carter amounts to a paragraph. President Reagan comes across as a savvy geopolitical genius. Both President G.H.W. Bush and President G.W. Bush are credited with being critical-thinkers of their respective geopolitical episodes. Finally, President Obama is described as contributing America’s history of seeming “ambiguous.” An interesting comment considering Dr. Kissinger has been instrumental in developing American foreign policy. Dr. Kissinger raises many good points. Actually, I wonder if they are his, though. In the epilogue, he admits to not knowing much about technology. In fact, most of his knowledge from his commentary comes from conversations with Eric Schmidt, of Google. Upon realizing, this I again felt somewhat underwhelmed by this book. I would much rather prefer to read about the impact of technology upon people by someone more conversant in technology, like Eric Schmidt himself. I do have to exercise caution with this opinion; I don’t want to discount the importance of the message simply because I would prefer a different messenger. The quote above is not really prescient; the Fallacy of the Masses has been quite active for a while. Fallacy of the Masses fallacy is the belief that since a large number of people share the same belief that belief must be accurate or true, i.e. “how can all those people be wrong?” The precise concern in our current state of U.S. politics is political leaders will prefer to pander to potentially ignorant populations than actually make good, tough choices based on thoughtful consideration. Leaders will make decisions based on how popular those decisions might make them, eschewing the hard, and potentially better, longer-term decision which could potentially make them less popular – and less electable. I’d like to recommend this book; I simply cannot. Some aspects might be fine for those without any knowledge of European history. The first two chapters are fine for a brief synopsis of 17th century European history, for instance. Beyond those chapters, the portion about the Hindu world-view is interesting. But this book gives short-shrift to Chinese history, provides a small slice of Hindu history, and does not adequately touch 20th century geopolitics. My sentiment is most of this knowledge is better gathered from other books by other authors, however. About 75% of the way through the book I felt the contents would have been better suited as a few essays in Foreign Affairs. I don’t think there is enough information contained herein to move any conversation forward.